If your boiler is over 15 years old it could be that you need a boiler replacement. You may think that having your boiler replaced is going to be very expensive, but this is not necessarily so. 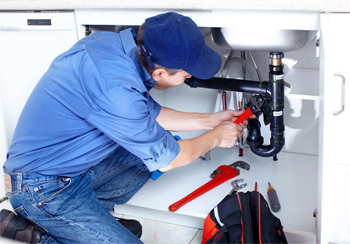 Emergency Plumbers Dublin stock all of the major brands when it comes to Oil or Gas Boilers and we are happy to offer a free, no obligation quote. If you compare prices, we think you will find we are as competitive as anyone in the market place. We have been established for many years now but we don’t just deal with emergencies. All of our team are fully qualified and R.G.I. (Registered Gas Installers) as required by Irish legislation, some of our staff have over 30 years experience in the private and commercial Boiler installation industry. Our company takes pride in our professionalism and our expertise in all aspects of the trade. We can offer a tailor made replacement boiler for each individual household’s needs. Unfortunately a lot of people do not realize that their Boiler is not working correctly. As a Boiler gets older it may break down more often, not run as effectively (costing more money to heat) and in the worst case scenario it could develop a Carbon Monoxide Leak which could cause hospitalization or even fatalities. Is your Boiler causing any of these problems? If you are not sure, why not just give one of our experts a call. It’s free with no-obligations attached and it would give you peace of mind. A Boiler replacement may not just save you money it could save your life. All our new boilers are backed up by the boiler’s Manufacturers warranty and as you will always find with Emergency Dublin Plumbers we DO NOT charge call outs, we DO NOT charge for advice or quotes for work. Call us on 01-6874850.